This weekend was the annual book sale to benefit the historic Benton House in the historic neighborhood of Irvington on the east side of Indianapolis. 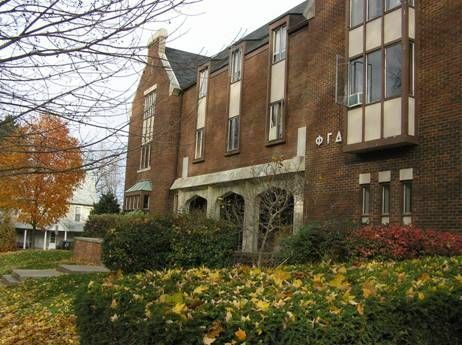 This is a neighborhood that I once lived in for about five years, and which I still visit occasionally – haunting Lazy Daze (a coffeehouse) or Bookmama’s Bookstore or playing chess at the Irvington branch of the Marion County Public Library. I eyed covetously but for which the price ($500!) was a bit out of my target range. Maybe more than a bit, actually. So, I settled for my $1 copy of the Wells book (the 1930 edition, it looks like) which I will read someday. Maybe. I actually skimmed the first few chapters tonight, and it starts with a brief history of the Earth itself, which I found charming for some reason. H.G. Wells has long been a favorite and this book is a worthy addition to my library. below: a “boring-looking copy” of The Outline of History, but it looks pretty similar to the edition I have. So, What’s on My Reading Schedule for September? This is the September book for the “Bookmama’s” bookstore’s discussion group. I have been to a couple of their previous discussions earlier this year (Fahrenheit 451 & Some Buried Caesar) but haven’t made it back lately due to scheduling conflicts. I spoke to Kathleen, the owner of the store, yesterday and she said that the author of this book will also be there, so I hate to miss an opportunity to discuss a book with the author present. This meeting will take place on Monday, September 13th, so I don’t have much time, but there is a three-day weekend between now and then… Also, I don’t even have a copy of the book yet, but I ordered it yesterday and Kathleen said I could pick it up next weekend. 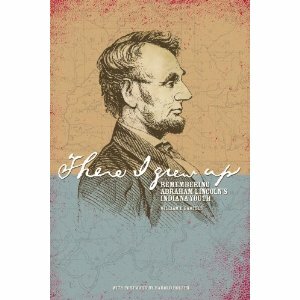 This book also fits into my Project: Civil War reading. This is my book club’s September book a and is actually one that I picked for us to read. (we take turns picking from a list of suggested titles by members of the club, but one cannot pick his own suggested book). 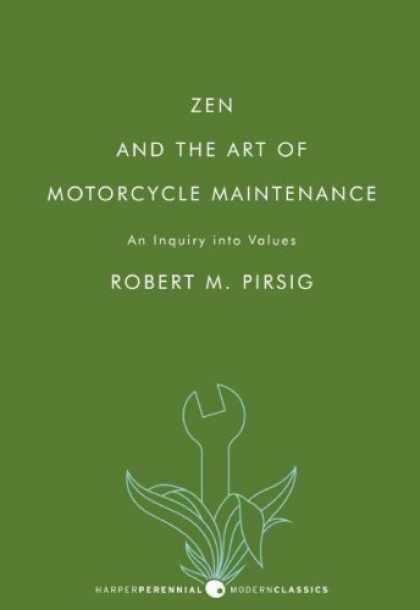 Is is one of those books that, throughout my life, friends have suggested I read, saying “knowing you, I bet you’d really like this book,” etc. I’m skeptical but we’ll see. Someone said it sounds a lot like another book my club read (Illusions by Richard Bach) which I did not like AT ALL, so I am a bit concerned… I’ve downloaded this book already from Barnes & Noble and it’s not too long, so we’ll see. One of my favorite “discoveries” this year is the soon-to-open Kurt Vonnegut Memorial Library in downtown Indianapolis. They actually have an all-Vonnegut book club that meets the last Thursday of the month (September 30th in this case). I visited them last week for their meeting on Slapstick (more on that later) and it’s a nice group of people, one of whom was a personal friend of Vonnegut(!) and another of whom knows mNy of the Vonnegut family through her work in establishing the memorial library. That seems like a lot of reading (“required” reading, anyway) for one month, but I think I’ll be able to handle it, and it’s not any more than I’ve been averaging this year. Well, that’s what’s on tab for Jay this month. What are you reading? Have you read any of these four? Anything I “need to know”…? It’s a nice day for a book club meeting… let’s have two! At lunchtime, I’m heading downtown to the Kurt Vonnegut Memorial Library for their book club’s meeting on the book, Slapstick. Then, as this is the fourth Thursday of the month, my main book club (see link at left) is meeting to discuss The Boy in the Striped Pajamas. Looking forward to both and will hope to share some feedback on these two books on this blog later. Or so Heinrich Schliemann famously uttered in a telegraph to the King of Greece after unearthing a gold death mask at his excavations in Mycenae. Last week, I went to a talk at the Indiana State Library about this famous “father of modern archaeology.” Why did they have a talk about Schliemann here? Well, it turns out he actually lived in Indianapolis(!) for about a year, mostly in 1869, just a couple of years before he made his greatest discovery – the location of the ancient city of Troy. Yes, Troy as in The Trojan War, as in The Iliad, and – unfortunately – as in the Brad Pitt movie of the same name (in that version, it seems the Trojan War lasted just ‘a couple of weeks.’) I grew up knowing about The Iliad and The Odyssey (admittedly from yet a couple more issues of “Classics Illustrated” comic books, but who cares) and even minored in Classics in college, “validating”(?) a lifelong interest in the ancient world and its history. It seems Schliemann (already a very wealthy man at the time) was in Indiana because he had been told it was “an easy state to get a divorce in” by his contacts in New York. At the time he was married to his first wife, a Russian woman who did not share any of his interest in the classics and archaeology, and would also refuse to allow their three children to accompany him on any of his travels. 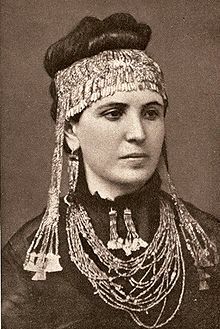 This was intolerable to Schliemann and he was working hard to get out of this marriage (after the divorce, he remarried Sophia Engastromenos, with whom he had two more children (Agamemnon & Andromache! ); when they were baptized, he ” solemnized the ceremony by placing a copy of the Iliad on the children’s heads and reciting one hundred hexameters.” to quote Wikipedia’s version of a story I have heard before.) She is pictured below wearing part of “Priam’s Treasure” from the site of Troy. I saw a woman at lunch today with some elaborately gaudy gold-looking jewelry that reminded me I need to post this. Seriously. 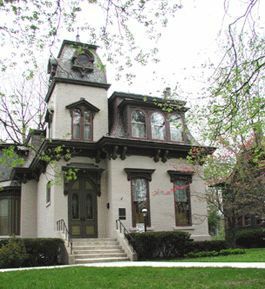 Schliemann briefly owned a business here in Indianapolis and lived at the time on the near west side, somewhere within the current location of the IUPUI campus. It is unclear exactly where, but I wonder how close – on my visits and perambulations on the campus – I have come to trodding upon the ground that this historically famous figure lived. Mark Vopela, who gave the talk on Schliemann, thought – and I agree – that some kind of marker on the site would be appropriate, but so far nothing. 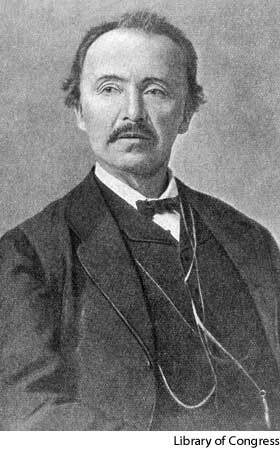 (above Heinrich Schliemann) I learned that the ‘breakthrough’ that Schliemann was responsible for was in making the scholarly community believe that many of the ‘mythical’ or legendary tales were based in fact, not myth. If Troy was a real place, what else might be? His archaeological technique was crude at best. In fact, he may have been better described as a treasure hunter, but that was the way of the times, I suppose. After sneaking many of the treasures unearthed at Troy out of Turkey without permission, he was forbidden to re-enter that country, after which he began an excavation in Greece at the site of Mycenae, the accepted center of Greek power at the time of the Trojan War. 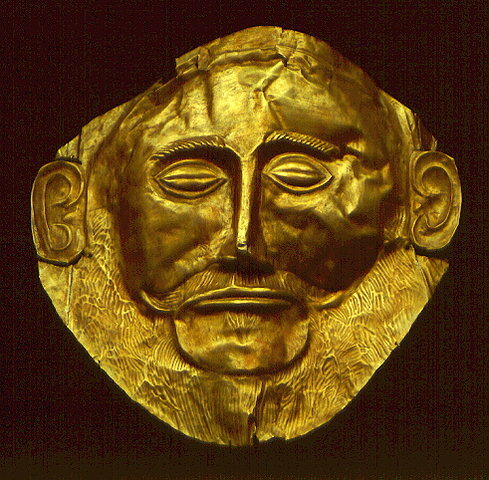 It was here that he discovered the Gold mask that he proclaimed to be Agamemnon, although serious scholars think it unlikely that is the case. 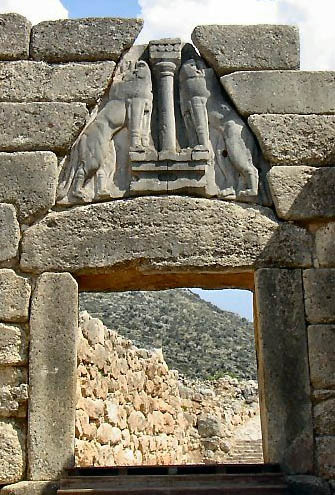 Below is the famous “Lions Gate” at Mycenae. I also learned that, upon his death, many of the treasures he ‘stole’ from these sites were moved to Germany, only to be stolen again by the Russians at the end of World War II. Subsequent efforts by the international community to convince Russian authorities to release them, or at least put them on display for public edification, have met with little result, with Russia considering them ‘the spoils of war.’ Sadly, the gold mask is part of this treasure, the whereabouts of which remains unknown to the outside world at this point. I posted a few weeks ago about my discovery of the Indiana State Library. This talk was given in the “Indiana Authors Room”, which is quite impressive in itself, featuring only books by Indiana Authors (naturally), but it is a splendid room. You should check it out – and the rest of the library if you’re ever in downtown Indianapolis. Shakespeare’s, The Tempest is unique among his plays in many ways. The most interesting to me is that it appears to be the only play of his where he made up the plot entirely on his own. Other plays are based, admittedly sometimes very loosely, on historical, legendary, or mythological events, but there doesn’t seem to be a ‘source story’ here. 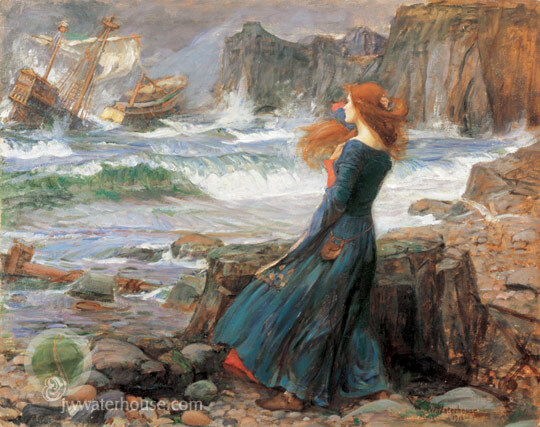 It has been argued that the inspiration for the play was a ‘current event’ of the time – that being the 1609 voyage of a fleet of supply ships bound for the colony of Jamestown in America which encountered bad weather, losing it’s flagship In storms around the islands of Bermuda. The Tempest is also thought to be the last play that Shakespeare wrote entirely on his own, without collaborators. In the second scene we learn that there is a ‘puppet-master’ behind all these events: Prospero. Described as the “right Duke of Milan” in the Dramatis Personae, we learn he has been deposed by his brother, Antonio, and has been living in exile on an island with his daughter Miranda. She knows something of his “powers ” (his position was usurped at least in part because he spent too much time in ‘secret books,’ apparently learning the ways of magic) and asks him to stop the storm, as she feels empathy toward the crew. Prospero begins to tell her something of her past in Milan, before their exile. She surprises him by remembering, though young when they departed, some detail of their time there. This leads Prospero to say, “what seest thou else, in the dark backward and abysm of time?” I love the language “dark backward and abysm of time.” Funny, I just looked up “abysm” on Merriam-Webster.com to see the difference, if any, between that word and “abyss” and the definition is given as: ABYSS <the dark backward and abysm of time – Shakespeare>. Neat. 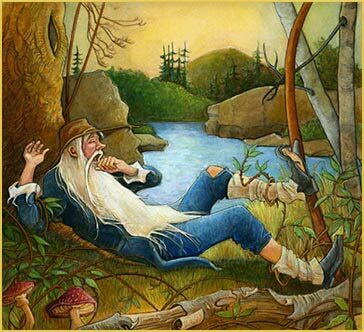 Was the Rip van Winkle story just an early example of alien abduction? 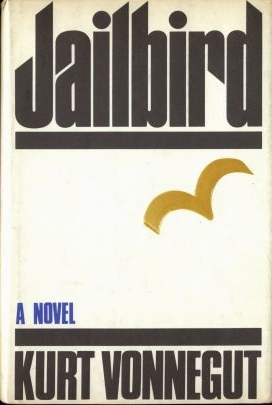 Re-reading this classic story – as a modern reader – I couldn’t help but notice that some elements are eerily similar to the modern-day accounts of alleged UFO abductees. There are the “little men,” lost time, the thunder-sound (coming from the other side of the mountain). And the most striking fact for me was that he “returns” years later, where the town has aged but he has not, with the exception of growing his long white beard. Is this not what theoretically happens when beings travel at the velocities approaching the speed of light? Time “slows down” for such travelers; they themselves age at a “normal” rate relative to those they left behind who age much, much faster. Isn’t this just what our old friend Rip observed to be the case? I submit that the folk he encountered in the Catskills were not, as rumored, the spirits of Henry Hudson’s crew of the Half Moon, but the extraterrestrial crew of a spacecraft which made thunderously loud noise when it was touching down” or “landing” in the remote mountain terrain. The crew, upon being discovered by Rip, are unsure what to do with him, and eventually drug him and take them away on their ship with them, perhaps visiting their home planet or a nearby base. It is eventually decided that this poor creature should be returned and they take him to the exact spot where he was abducted (next to his now rusted and decayed rifle), leaving Rip with the mystery he encounters and that which is told to us by Diedrich Knickerbocker, Washington Irving’s fictional chronicler. I finished this book yesterday. (My fourth Vonnegut book to date) I must say that, despite its weirdness, I really enjoyed it. I particularly liked the fact that the author inserts himself into the book at a critical stage. This is not something one sees very often, although I do remember reading recently about a new(?) book where the main character somehow begins to realize he is only the creation of a writer and that his ‘world’ exists only in that person’s imagination. I seem to recall that he came to this realization when he heard/kept hearing a “scratching noise” during certain key events and the noise turns out to be the scribbling of the author’s pencil. Does this ring a bell with anybody? I’d sure like to know what book this is, as I am more interested in possibly reading it now. Anyway, Breakfast of Champions is for the most part (one has to allow for all of KV’s digressions) about the collision course of two characters: the author Kilgore Trout and a used car salesman named Wayne Hoover. Hoover is somewhat mentally imbalanced to begin with but “goes off the deep end” after reading one of Kilgore’s stories that convinces him that he is the only creature on earth with free will and that all other people are merely “robots” made by “The Creator of the Universe” to test his behavior etc. As usual, Vonnegut uses this story frame as a vehicle for social commentary and for pointing out how flawed “civilization” really is. I found it very interesting. It’s a quick read too, like most of KV’s novels. I’m not sure now what my original impetus was, but toward the end of 2007, I came up with the idea for a 2008 reading project, the goal of which was to read all of Shakespeare’s plays over the course of the year. I should probably confess right away that I did not complete the project, BUT I did make an honest effort that resulted in my getting through about 2/3 of them. I created a schedule/syllabus that spread the reading over the year, which comes to about three plays a month. I found a trusted guide for my project in Isaac Asimov’s book, Asimov’s Guide to Shakespeare. 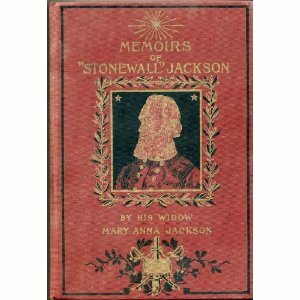 This book includes all the plays and two of Shakespeare’s lyrical poems. 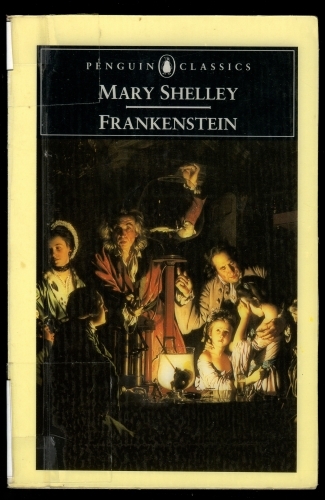 It presents them in two volumes, in “chronological” order – the chronology in this case being that of the time of the setting of the plays. Creating the schedule was somewhat empowering, as “that’s only three plays a month!” didn’t seem so bad as looking at the huge, I mean HUGE, copy of The Complete Works at I have. C) seek out other commentary/discussion on the play. (eventually, for this step, I settled on a book, Shakespeare After All, by Marjorie Garber, which I found to be a scholarly yet helpful companion to my project. If anyone is interested in viewing the remnants of the online chronicle I almost kept for project Shakespeare, the ruins of its web page still reside in the subdirectories of my book club’s web page at the following URL. I thought that, once completed, the project could be continued or “refreshed” with subsequent three year projects, where I would review and revisit the plays at a more leisurely pace of one a month, completing the entire set every three years, and so on. I have also since learned that Isaac Asimov also wrote a similar “guidebook” for the bible. I bet that would make interesting reading as well. I also, just this year, discovered a website where an erstwhile blogger and Shakespeare fan was working on a “38 Plays in 38 Days” project. Now THAT is ambitious. What about you? Do you devise reading projects and goals for yourself or you read more ‘randomly,’ picking up whatever strikes your fancy? Wabash College was a great school that often made non-standard forms of entertainment available (for free) to it’s students, including contemporary and sometimes classic movies in the huge campus theatre. (this building still makes me cringe in horror as I am reminded of sitting through a semester of 8am chemistry lectures in its amphitheater – staying awake through that entire period was a miracle rarely achieved; thank God handouts were provided!) 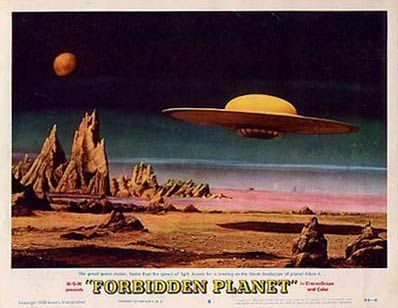 Anyway, I think it was my senior year when they showed the classic 1956 sci-fi movie Forbidden Planet. Above: a movie poster for forbidden planet, and the house (since demolished to make room for a new one) where I lived most of my college days. 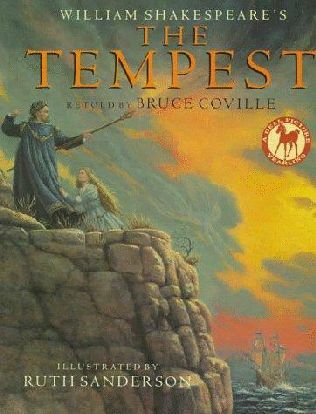 Time for a Little Shakespeare: The Tempest read-along! Allie – over at A Literary Odyssey – is hosting another read-along, this time for Shakespeare’s The Tempest. Click this link to see the details. Hope you will join us!